So enjoy our Cool Treats Hop.....if you are on track you just enjoyed some treats on Yapha's blog. If you are ready to move on head over to my friend Dawn's blog. She always has something wonderful in store! Cool card, Linda. (pun intended) lol!! Have a great week. Love how the spoon adds the sprinkles. Such a fun card, Linda! 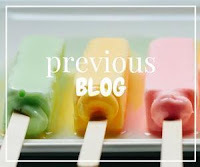 This is just the cutest....great colors and images (who doesn't love ice cream?) but the spoon and sprinkles....a perfect extra touch! And SNERT? I thought that was a cartoon dog? I must look that up...although I do like pea soup! 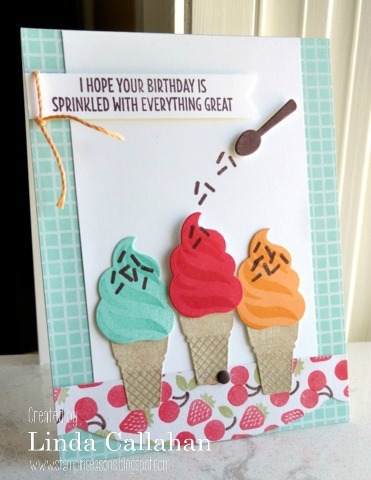 Love the spoon scattering the sprinkles on the ice-cream. Such a sweet card. The design for this card is so clever, Linda! I love your cards! They are always so fresh and clean...and always with a little unexpected embellishment, like the linen cord! Beautiful card. Makes me happy just to look at it. Love the sprinkles and spoon. Super sweet and cute card. I love the color combo - yummy! Oh that's awesome! Those sweets look good enough to eat! By your description, I thought you were going to make a hagelslaag card. I love your "action" card.